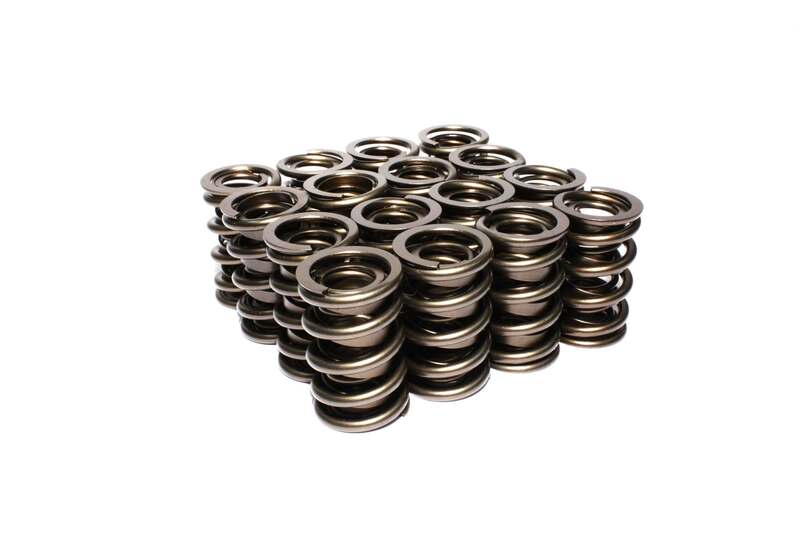 Dual Valve Springs from COMP Cams(R) are manufactured from Super Clean™ wire and subject to extensive quality control testing to deliver a valve spring assembly with superior strength, durability and valve train stability, no matter what the application. The dual spring design creates a stronger valve spring that can easily handle the increased lift found in extreme stress applications. COMP Cams(R) Dual Valve Springs exceed the expectations of today’s engine builders and racers.